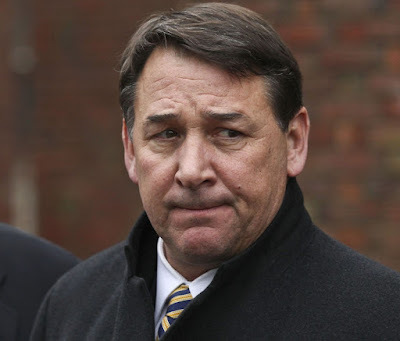 Mike Milbury nearly makes NBC broadcasts unbearable to watch. His commentary is routinely brash, antiquated, and the type of rhetoric the NHL should be trying to avoid if it's to shed its image as a garage league. Perhaps best known for going into the stands and beating a man with his own shoe, Milbury projects that same feeling onto the viewers who can actually stomach sitting through the intermissions. Dan Bylsma took over for Michel Therrien in 2009 and promptly led the Penguins to a Stanley Cup championship, but as time passed he began to wear out his welcome in Pittsburgh with a series of bad playoffs losses. The stretch passes, the "getting to their game", and the grinding the other team down began to get old as the upsets mounted. Ultimately, it was blowing a 3-1 lead against the Rangers in the conference semi-finals that was the last straw for Bylsma's time in Pittsburgh. The 1992-93 Penguins were arguably the best team in franchise history. They won the Presidents’ Trophy with 119 points and set the NHL record for consecutive victories with 17 wins in a row. They were seeking the franchise’s 3rd straight Stanley Cup, but after mowing down the New Jersey Devils 4-1 in the first round they ran into trouble with the New York Islanders in the conference semifinals. The Penguins held a 3-2 series lead but were unable to put the Islanders away on Long Island. The series returned to Pittsburgh for the decisive Game 7, and it entered overtime tied 3-3. Volek waslittle more than a role player for the Islanders, but his slap shot on a 2-on-1 beat Tom Barrasso to give the Penguins their worst upset defeat in franchise history and stop the budding dynasty in its tracks. The hockey world is well familiar with John Tortorella's actions. The current head coach of the Columbus Blue Jackets is loud and abrasive, and he certainly rubs people the wrong way across the lead. He's opinionated, and he's certainly spared on words in labeling the Penguins and captain Sidney Crosby as arrogant and a bunch of whiners. The irony certainly isn't lost on anyone who's listened to Tortorella's tirades, but he doesn't miss out on taking a swipe at the Pittsburgh organization any chance he gets. David Steckel was a prototypical 4th line forward in the league, and while he had good size he wasn't known for dirty play. But Steckel proved that anyone can throw a cheap shot when presented with the chance, and during the Winter Classic in 2011 Steckel got that opportunity when he was on the ice as Sidney Crosby was circling around to change directions. Steckel gave the Penguins captain a shot to the head as he passed by, and the subsequent concussions problems Crosby suffered are well known. The injury cost Crosby a Hart Trophy that he essentially had wrapped up even as early in the season as January 1, and it nearly cost the league it's biggest and brightest star. PK Subban has come a long ways from his early career antics, but it's not too difficult to remember those days when Subban routinely cheap-shotted and slew-footed opponents. It was frustrating to see that low-level of play from someone so talented, but it came to a head in the 2010 with the Penguins looking to defend their Stanley Cup championship. Jordan Staal broke up a pass intended for Subban, and he wildly swung his right leg back trying to prevent the breakaway. But Subban's skate blade came down on top of Staal's skate, and he suffered a torn tendon on the play, and the Canadiens went on to win the series in 7 games. Chris Neil is one of the most antagonizing forwards in the NHL. He is the epitome of the player you can only not hate if he's on your team, and even that might be stretching it. Neil makes a living getting under the skin of the opposition, and he now hilariously wears an "A" for the Ottawa Senators in what has to be an ironic acknowledgement of the level of hatred he provokes. Jim Rutherford had a less than stellar career as the general manager of the Hartford/Carolina franchise, making the playoffs in just 5 of 19 seasons while toiling in relative anonymity. He was cast aside by the Hurricanes after the 2013-14 season, and by any measure it should have been the end of his time in the league. However, the Penguins inexplicably hired Rutherford to take over for fired GM Ray Shero, and since taking over Rutherford has committed a series of questionable moves that suggest that GMJR struggles with obtaining value and managing both assets and the salary cap. If this was a tourney to find the biggest homer in the league, Jack Edwards would likely be the number 1 overall seed. He’s beencalled out for his heavily biased opinion before, and generally people put little stock into what he says about the Bruins. He’s certainly a perfect fit for the Boston fanbase though, including his comments about Matt Cooke that clearly crossed a line. In a game against Pittsburgh, Edwards compared Cookebeing nominated for the Masterton Trophy to Robert Kennedy’s assassin beingnamed prisoner of the year. Like we said, he’s a perfect fit for Bruins fans. It was a ridiculous overreaction by Eugene Melnyk that lands him on this list. Melnyk, the owner of the Ottawa Senators, was understandably upset when Erik Karlsson was injured in a freak accident with Matt Cooke. What was less understandable was his ranting against Cooke and launching of a forensic investigation to prove Cooke sliced Karlsson's Achilles tendon on purpose. Melnyk vowed to make his findings public, but nothing ever came from his blustering other than, presumably, his forensic investigators accepting large sums of cash before telling him he was insane. Ray Shero had a young team in 2008 that was a season removed from being eliminated from the NHL playoffs in 5 games, but that didn't stop him from making the bold trade to bring Marian Hossa and Pascal Dupuis to Pittsburgh. And Hossa was stellar in his short time in Pittsburgh as he and the Pens nearly won the Stanley Cup before falling to the Detroit Red Wings in 6 games. Shero offered Hossa his choice of 5, 6, and 7 year deals to stay, but he spurned Pittsburgh to sign a 1-year deal with Detroit. The outrage from the fanbase was enormous, but beating Hossa and the Wings for the Cup the final season certainly took a bit of the sting out of the rejection. It takes a player like Mario Lemieux to overshadow a player as historically great as Jarmoir Jagr, but even still Jagr was beloved by Penguins fans during his time in Pittsburgh. However, Jagr rubbed a lot of people the wrong way when he described his time in Pittsburgh as "dying alive" before being traded to the Washington Capitals. 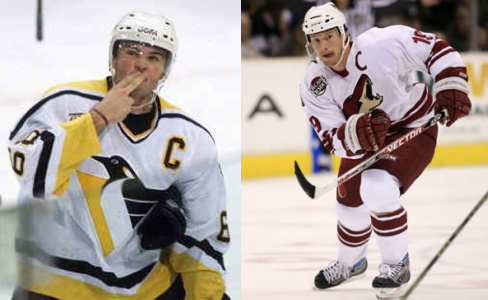 Pens fans made sure to boo their former captain any time he came to town, and when he was rumored to sign back in Pittsburgh after returning from the KHL, he got Penguins fans hope up before crushing them by signing with the rival Philadelphia Flyers. Time heals all wounds, but the Jagr wounds certainly cut deep. 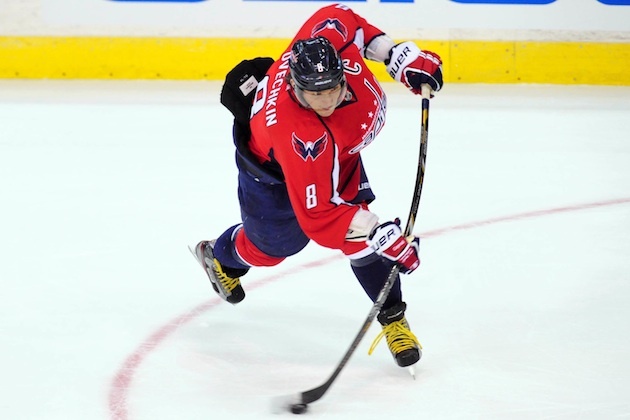 It's difficult not to be disliked as a generational talent on an opposing team, but throw in the rivalry with Sidney Crosby that the NHL pushed in their early years and several questionable plays on his part and it's not hard to see why Penguins fans might hate Alexander Ovechkin. He's one of the best goal scorers ever to come through the league, but what stokes the flames.